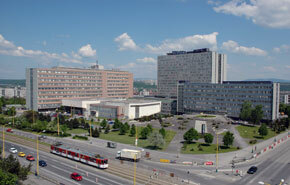 The University in its modern form was established in 1959 as the second university in Slovakia. It has made an important contribution to the development of educational and research activities in Slovakia. At present the UPJS consists of four faculties: Faculty of Medicine, Faculty of Science, Faculty of Law and Faculty of Public Administration. Košice is a friendly place with two faces, like most larger Slovak towns – surrounded by grim housing estates, but concealing many treasures inside the downtown core. The metropolis of the east and the second largest Slovak city, Košice offers everything, from a beautifully reconstructed downtown to many cultural institutions, shopping malls, places to spend free time, and, increasingly, progressive industrial areas. Once a key royal town in the Austro-Hungarian monarchy, Košice has never lost its aristocratic atmosphere.